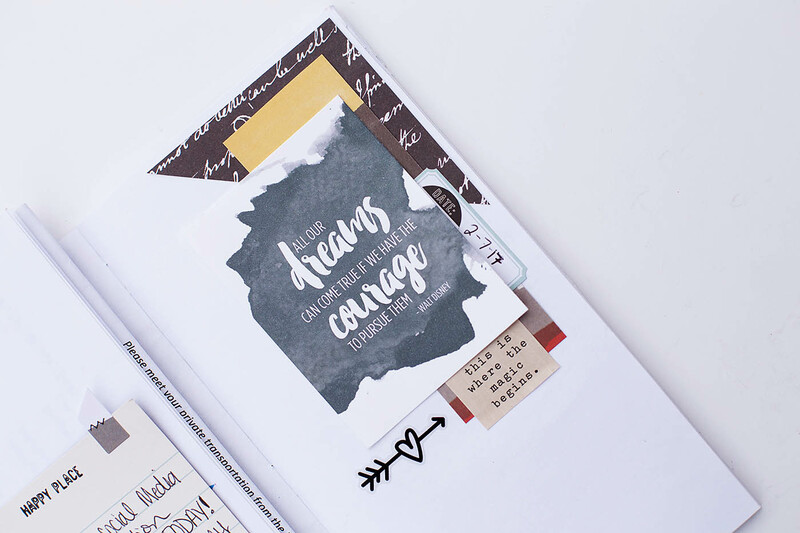 It’s almost [Inter]National Scrapbook Day and I’m celebrating with Scrapbook.com this year! I’ll be in their studio Friday April 27th to film a little Facebook live video inspiration on travel scrapbooking. They are starting at 1pm PST so be sure to tune in (I’ll share here once it’s on their page). I thought I’d give you a sneak at what I’m going to share and give you links to download the printables from the project. 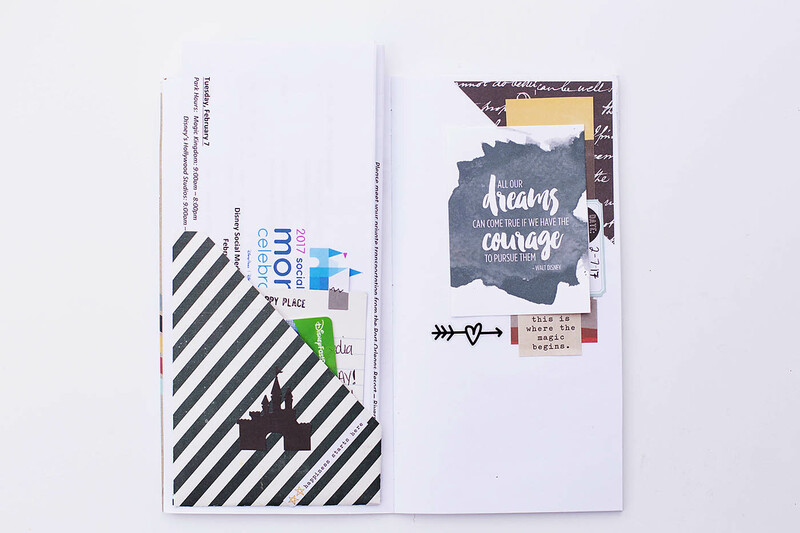 I’m going to be creating a Travel Notebook spread with a DIY pocket for memorabilia and a little inspiration card. 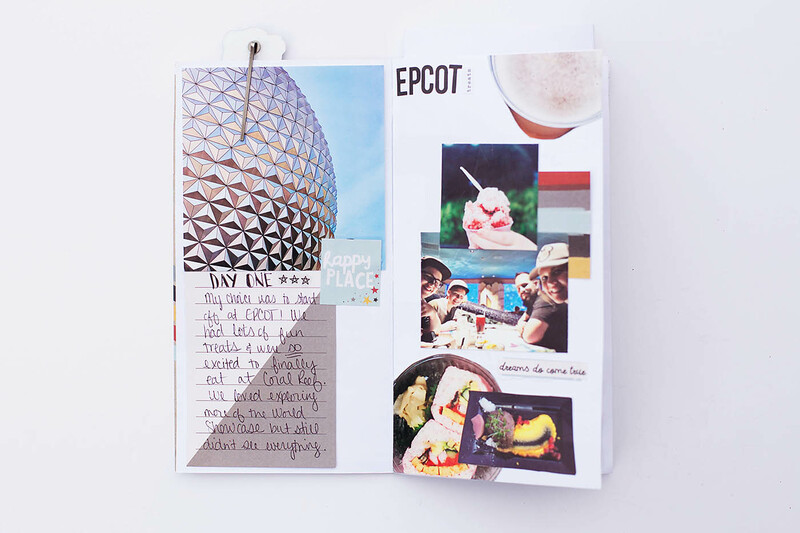 This page is based off of one I just created for my Walt Disney World/Disney Cruise trip notebook. It’s a work in progress but I thought this spread would be the perfect opening or closing spread for any type of notebook with just a few tweaks. I will definitely be making lots of these notebook pockets. They are super easy and so useful! 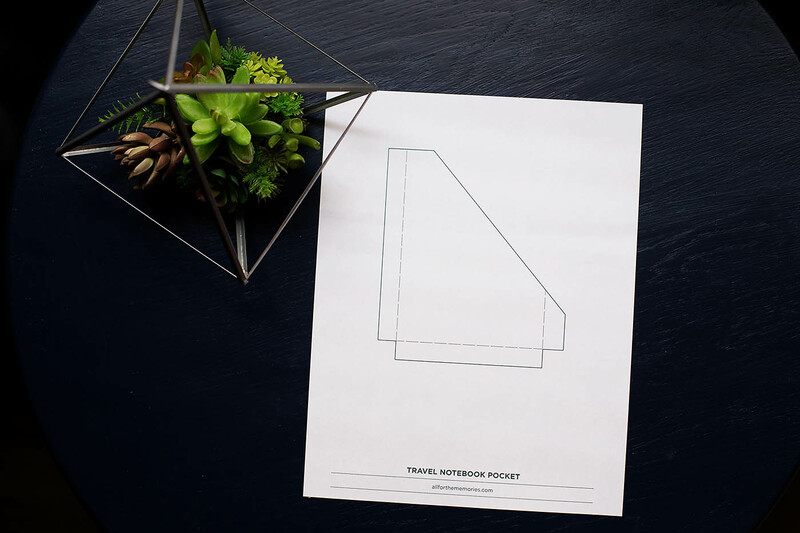 Just print out the template and use it to cut a pocket out of any patterned paper. Fold where the dashed lines are and secure with adhesive. 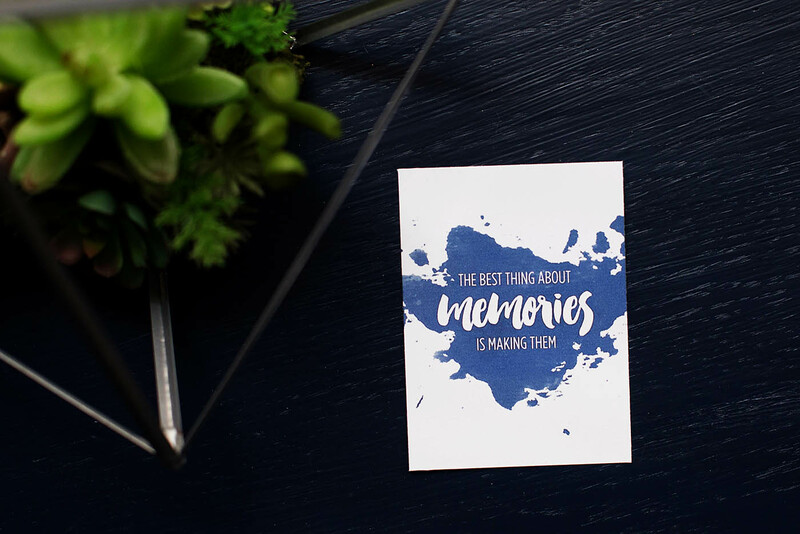 Here’s the printable for the little “memories” card! 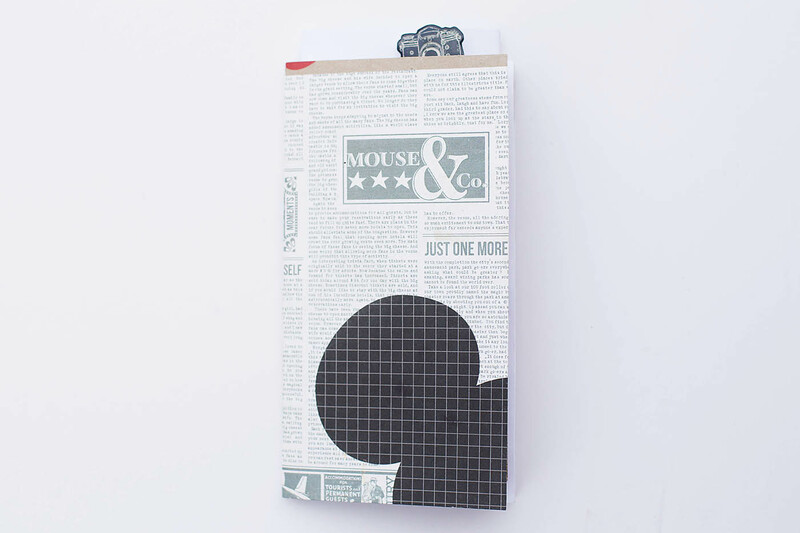 If you’re curious about my Disney notebook here’s all I’ve got so far! It’s still a work in progress but I hope to carve out some time to finish it soon! 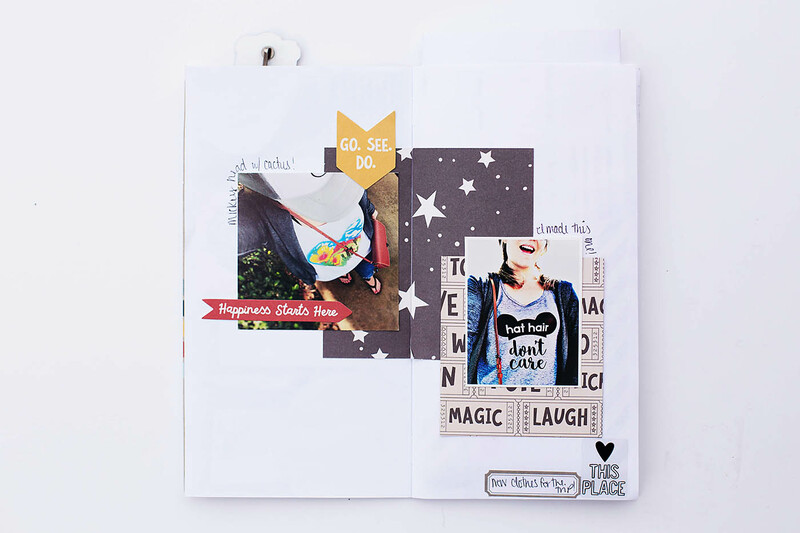 I’m not usually a themed product type of scrapbooker but I just love the Say Cheese line from Simple Stories. I couldn’t resist! 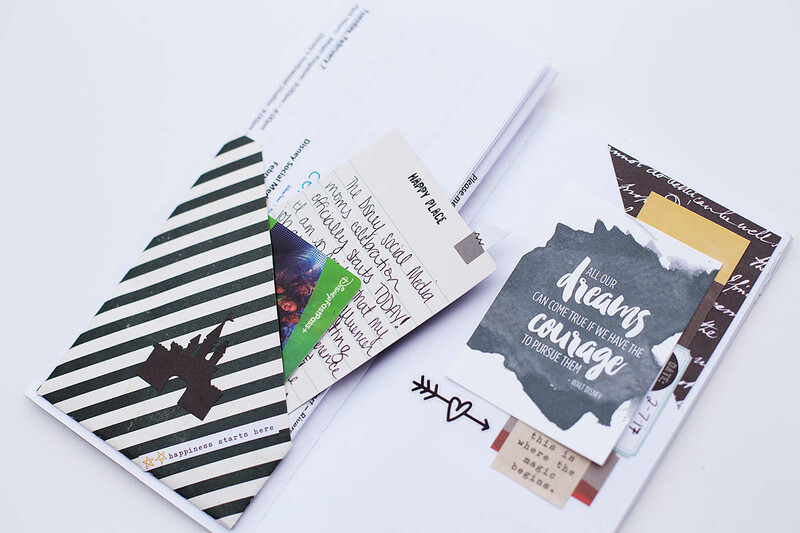 Be sure to let me know if you use any of the printables or inspiration by linking me to yours or tagging me in social! I love to see what others are working on. 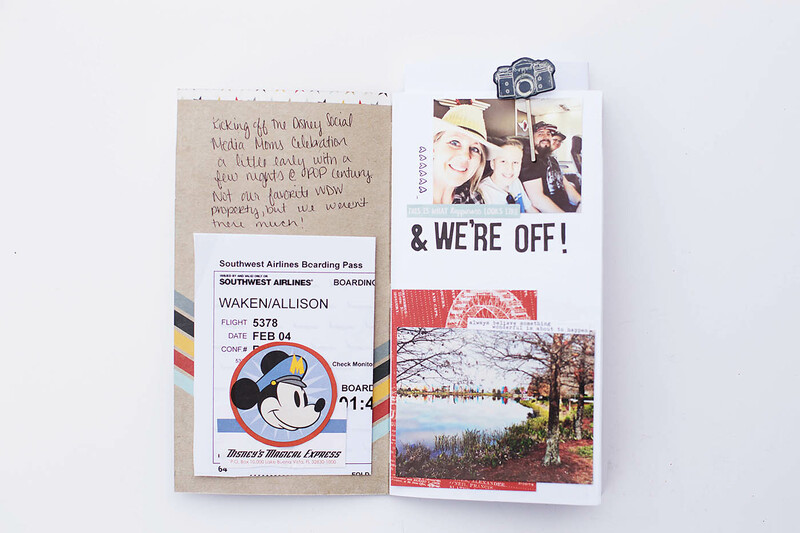 Hope you are able to spend Scrapbook Day creating something even if it’s just the start of your next travel notebook! I am so glad you like it! Be sure to tag me or leave a link here if you use it and share anywhere!